The proper investigation of the physical, social and economic impacts of the program on quality of life and participation. SpinalCure Australia and Spinal Cord Injuries Australia have combined to jointly fund a PhD scholarship to investigate NeuroMoves in Australia, with the initial focus on the program being delivered at The University of Sydney’s Faculty of Health Sciences. The SpinalCure grant amounts to $70,000 over the 2011–2014 period. The broad parameters of the study are around an investigation of the physiological and psychosocial benefits of NeuroMoves, including functional improvements by clients, altered general health, improved quality of life and identification any associated health economic benefits. The successful applicant for the scholarship was Ms Camilla Quel De Oliveira, a Brazilian physiotherapist from Sao Paulo. Camilla was awarded the scholarship ahead of an impressive international field of candidates from Australia and eight other countries. Camilla has previously been involved in clinics and research in regard to neuro physiotherapy and has worked as a physiotherapist with people with a spinal cord injury. 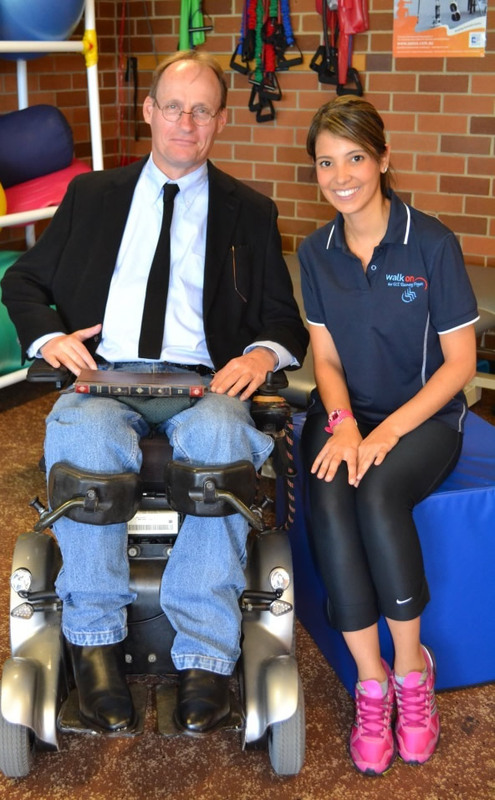 She is now working with the other NeuroMoves therapists in Sydney as she progresses the elements of her research under the direction of her primary supervisor, Professor Glen Davis, Professor of Clinical Exercise Sciences and Director, Clinical Exercise and Rehabilitation Unit, Faculty of Health Sciences. In early 2008 SpinalCure provided a $75,000 grant to Spinal Cord Injuries Australia (SCIA) to support the launch of its NeuroMoves SCI Recovery Project in Brisbane. Centres are now also open in Sydney, Melbourne and Perth. NeuroMoves is an intensive exercise program, offering a path to maximising functional recovery through a structured methodology and based upon the ground breaking and highly successful Project Walk Dardzinski method, which has been offered in the United States since 1999. Recent research findings support the direction of programs like NeuroMoves that seek to maintain and stimulate the nervous system as a means improve recovery. It is a field of SCI research that is gaining increasing attention. Neuroscientist and Physiotherapist Dr Mary Galea, at the University of Melbourne, is a leading Australian advocate for “activity based” recovery research. Her recent Churchill Fellowship paper recommended “…ongoing comprehensive exercise programs … to optimize level of neural recovery”. NeuroMoves is not a cure for SCI, but it is believed that structured exercise programs will be an essential component of cure therapies in the future, enhancing any function restored by cellular and pharmacological approaches. Current NeuroMoves clients experience incremental functional gains that restore independence, health and quality of life.